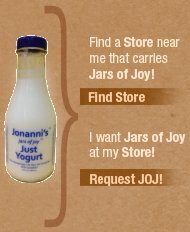 To Request Jars of Joy Please Click Here. Copyright 2010, Jonanni's, LLC. All Rights Reserved.